Building a house addition is a project and is not operational work. Project A is considered to be of strategic importance to your organization. When Project A is completed, you will release a new product to your customers that will be innovative. Research has shown that there is a high demand for this product. And if you are quick enough, your company will be the first to have it on the market. This project will require the focus and attention of the entire team. Project B is a tablet upgrade for your organization's sales force. It will primarily involve the information technology, or IT, department. There is a specific functional manager in the IT department who is very knowledgeable about the tablets, the applications they use, and the technical requirements. 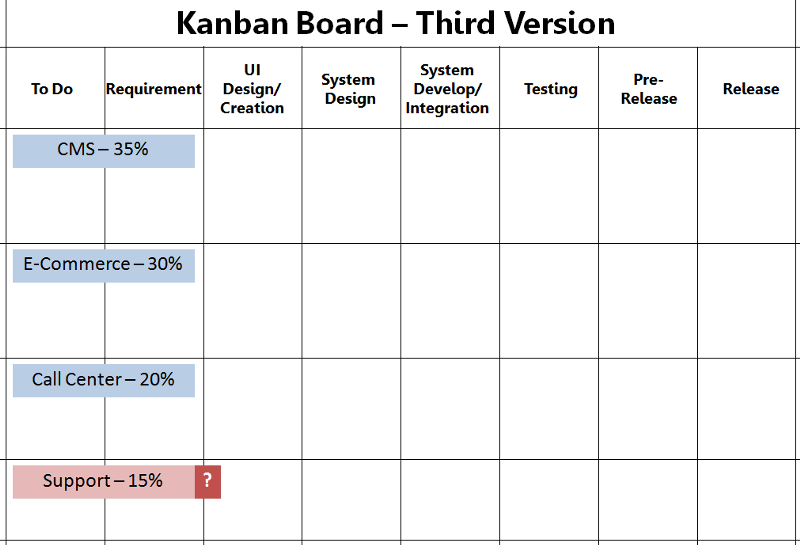 Basically, this functional manager needs some help with coordination and project reporting. and run Project B as a weak matrix. A Project is not defined as being unique and temporary, with an undefined start and finish. Weak, Balanced and Strong are three types of matrix organizations. In a projectized organization, the project manager acts as manager of the team. The best organization to use to run a project will not always be the projectized organization. The five project management process groups as described in the PMBOK Guide are initiating, planning, executing, monitoring, controlling and closing. 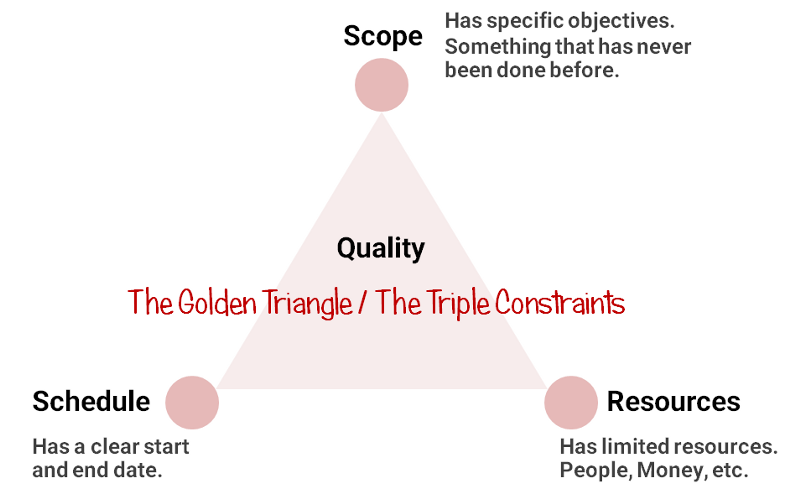 The three components of the triple constraint are Scope, Cost and Time. You have finished planning and have begun executing the project when the client asks if you would add some important features to the product of the project. Time and cost in the triple constraints may both be affected. The primary role of the project manager is communication. The PMBOK Guide knowledge areas that have processes in the Initiating process group are Project Integration Management and Project Stakeholder Management. The PMBOK Guide describes 10 Project Management Knowledge Areas. Cost, Scope and Time out of the 10. Unaware - Provide them with an overview of the project and follow up, after the overview. Resistant - Partner them with someone enthusiastic, someone who they admire and trust. Neutral - Find ways to increase their interest in the project, perhaps by involving them more or by sharing with them a project benefit that they can support. Supportive - Keep them in the loop and provide them open and honest status. Leading - Continue to give them opportunities to stay involved, let them know you appreciate them. You have a stakeholder who will be contributing five team members to your project. This stakeholder has complained multiple times that your project should never have been approved, is a waste of time and money and that his people should be working on something else. This is the resistant type of stakeholder to the project and potential impacts and change. You are the project manager for project A. Project A is considered to be of strategic importance to your organization. When project A is completed, you will release a new product to your customers that will be innovative. Research has shown that there is a high demand for this product and, if you quick enough, your company will be the first to have it on the market. Because this project is so important and requires the complete attention of resources, the project selection committee followed your advice and set up a projectized organization. All project team members, including you, are 100% dedicated to the project. You have three team members who each have significant roles on the project. They each either represent an area of expertise or the voice of the customer. It would be difficult to state that any one of these resources was more important than the other. In fact, they really need to work well together so that each of their work really ties well nicely. After all, the goal is to release this highly innovative and highly sought after product as quickly as possible and to capture the market for this product within three months after the product is released. Two of the three key team members have worked together for several years. They have a close relationship. They're not only coworkers, they are good friends. The third resource is new to the company. In fact, she was hired because she brought expertise that your company did not have. She's excellent at her job, and you are glad she's part of the team. You notice that the other two do not always include her in their discussions about the product. They do not appear to be purposefully rude, but they typically turn to one another to discuss and debate various aspects of the product and project. There are times when she should be involved in the discussion, but she does not jump in. When you observe conversations where the two co-workers exclude their newer colleague from discussions and debates, tactfully join the conversation and ask the newer colleague her opinion and bring her into the conversation. The definition of a stakeholder includes: The people or organizations that are positively or negatively impacted by your project. If you are not certain who your stakeholders are, asking who will use the product or service being created can be helpful. If a stakeholder has high interest and high power then as the project manager you: Focus your time and attention on them, they are very impactful to your project and you want to keep them engaged and positive. You just came from a meeting with one of your project stakeholders, he knew about your project and was not against it, but did not seem to be particularly interested in it either. You would classify him as Neutral. The Project Sponsor is not responsible for stakeholder expectations management. Customer/User is the stakeholder that will ultimately use the product or service you are creating. One way to classify your stakeholders is to use the Power/Interest Grid. If a stakeholder is low interest / low power, the Project Manager should do Monitor. Your stakeholder register is your primary output and should at least contain: Assessment information, identification information, and stakeholder classification. used by his team. Seek him out and begin to open communications with him about what is changing and why is the best response to the situation. Identify the five engagement levels of stakeholders: Unaware, resistant, neutral, supportive, leading. Project Manager - The person assigned by the performing organization to achieve the project objectives. Performing Organization - The enterprise whose personnel are most directly involved in doing the work of the project. Project Management Team - The members of the project team directly involved in the project management and leadership activities. Sponsor - The person or group that provides the financial resources, in cash or kind, for the project. Other - End users, portfolio managers, program managers, project management office, functional managers, operations management. Project A has kicked off, and you are all excited about creating this innovative, highly sought after product. It could really put your company at the front of the market for several years. You and your team are creating the scope statement for the project, as you have worked together to interview your project stakeholders. You have heard a couple of comments that have concerned you. One stakeholder mentioned that he thought that once the project passed a certain point, some of he resources would no longer be fully dedicated to the project. This puzzled you because you have been told that you are running the project using a projectized organization, and all resources are 100% dedicated to the project until project completion. Another stakeholder mentioned that she really believed that the product being created was missing some important features. You and the team have a different understanding. Your understanding is that the product contains the features required to be quickly enough to be released in a timely manner. There will be future enhancements made to the project. You will make sure that the assumptions section of the scope statement discusses that team members are 100% dedicated to the project and you will make certain that the 'missing' features (per one of your stakeholders) are noted as out of scope for this project. One of the ways a Project Charter can help you as a project manager is: It describes your authority level as the project manager. The Scope Management section of your project plan document would include information on: Who can suggest changes to the project. An important part of the project scope statement is exclusions or out of scope items. As you plan your project, you do so thinking that all team members will be assigned to your project for at least 50% of their available time. This is an example of: An assumption. The WBS should completely depict the scope of your project that if something is not in the WBS it is because it is NOT part of the project. The 8-80 rule refers to: Work packages should be between 8 and 80 hours of effort. Project scope differs from product scope in that: Project scope is the work that needs to be accomplished to deliver a product, service, or result. The Project Charter is a document issued by the project initiator or sponsor that formally authorizes the existence of a project. It provides the project manager with the authority to apply organizational resources to project activities. The Project Scope Statement should include the following: Project deliverables, project constraints, project assumptions. A Work Breakdown Structure (WBS) is a deliverable-oriented hierarchical decomposition of the work to be executed by the project team. Project day has progressed and your team now has a prototype of the end product. This prototype has been created in a test area. The test area is an area where there is machinery and materials. It is smaller version of the area where the finalized product will be manufactured. When it comes to safety, of course, your company follows best practices. That means that nobody is allowed to enter the test area without wearing protective gear, such as safety glasses. Your stakeholders have been invited to the test area to view the prototype. Each of them is handed their required proactive gear at the door to the test area. One of your stakeholders refuses to put on the safety glasses. Do not let them into the test area until they agree to wear the glasses right now. Authority means you have the right to apply resources, make decisions and give approvals. When two team members are trying to complete the same task is an example of role conflict. Two team members disagree on how to solve a project issue. They express their disagreement and then engage in a professional debate. This is an example of Healthy conflict. You and another project manager disagree over whether a team member should work on your team or on her team. You decide that the team member can work for the other project manager in the afternoon and the other project manager says it is OK for the team member to work for you in the morning. The truth is you both wanted this person fulltime. The conflict resolution approach you have both used is Compromising (Bargaining and searching for solutions that attempt to bring some degree of satisfaction to the conflicting parties; neither party wins, but each may get some degree of satisfaction). Conflict management is the process by which the project manager uses appropriate managerial techniques to deal with the inevitable disagreements that develop among those working toward project accomplishment. Some of the major sources of conflict that a project manager may influence are Personality conflict, schedules, and resources. Confronting, Compromising, Smoothing, Forcing, and Avoiding are the 5 approaches to conflict discussed in the Project Human Resources Management. Project Human Resource Management includes the processes that organize, manage, and lead the project team. Each person involved in the project should be assigned, and always need to know his or her role and responsibility. RAM stand for Responsibility Assignment Matrix. the project manager during quality assurance. You have two team members who are frequently assigned to the same activities. Typically the way in which they are meant to work is that one of the resources, we will call him Sam, is meant to be available to answer questions about the work. Sam is to help if there is a problem, or to brainstorm solutions when there are issues completing the work. The other resource, we will call him Joe, is the resource that will actually complete the work. For example, during project A, the new product required some design work. Joe is the one who was supposed to create the design, and Sam was the person Joe could go to for questions or concerns about designing this type of product. Both Sam and Joe are good and diligent workers. They get along well with one another, and they get along well with you and their coworkers. Sometimes there does seem to be some confusion as to who is supposed to do what. For example, in a meeting, Sam and Joe both realize that they were each trying to design the new product. Another time, a different team member had some questions about the work. Before Sam could reply to the questions, Joe responded. 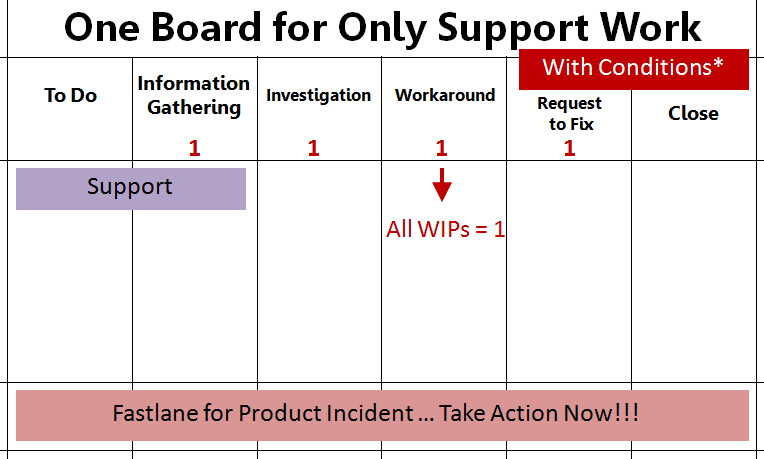 As the project manager of Project A where all of the resources are 100% dedicated to the project, a way to help them out is work with the team to create a RAM or responsibility accountability matrix which depicts who does the work, who consults, who is informed, etc. The term resources not only refers to people, it include money, materials, and equipment, etc. The acronym RAM stands for Responsibility Assignment Matrix. When you use the RACI or Responsible, Accountable, Consult, Inform version of the RAM, those who are responsible are Completing the work. A work package is a Deliverable at the lowest level of the WBS. 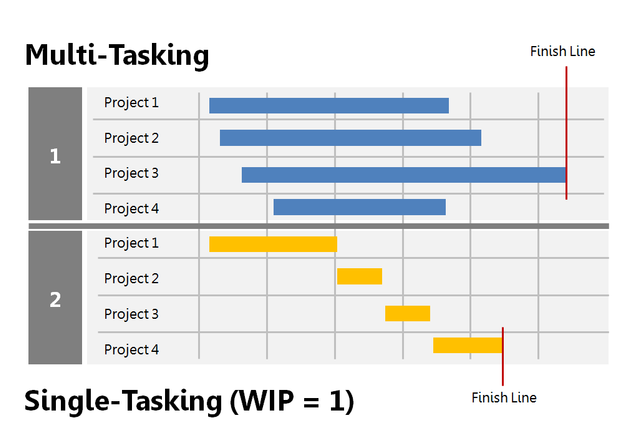 The WBS is used to derive The project schedule baseline, The project cost performance baseline, and The activity list. When it comes to projects, the emphasis is on strategic quality management. Quality is not an accident, quality is part of the plan, and quality is everyone's job. The discipline of quality management complements the discipline of project management. Both recognize the importance of Customer satisfaction, prevention over inspection, continuous improvement, and management responsibility. Project quality focuses on the project management processes used to meet project objectives. The Process Improvement Plan is a subsidiary, or component of the project management plan. Performing quality assurance within the context of a project involves applying the planned, systematic quality activities to ensure that the project correctly employs all processes needed to meet project objectives and product requirements. Project Budget Reporting Guidelines belong in the cost management plan. A past project took 20,000 hours to complete. Your new project is adding some additional scope and that scope is estimated to take 10,000 additional hours. There is some work that was completed in the previous project that will not be completed in this project. That work is estimated at 5,000 hours. Labor rates have increased 10%, the old rate was $25 per hour. Estimate should you give for your new project is (20,000 + 10,000 - 5,000) x 27.50 = 25,000 x 27.50 = $687,500. Your project has been active for two months. At this point, the amount of work you should have completed is valued at $25,000. Per your budget reports, you see that you have spent $30,000 to date. The amount of work that has actually been completed is worth $20,000. A negative cost variance means you are not on budget, you are over budget. You and the team are both excited and nervous about project day. You're on a tight deadline to create and launch a new product. This product is very promising. Research shows that your customers will love it and they will buy it. You are all 100% dedicated to this project, so that you can all give it the necessary focus to launch the new product before any of your competitors. Everyone is nervous about meeting the due date, and everyone is nervous about submitting estimates. To be fair, because this is a new project and there are activities that the team members have never completed before, this introduces an element of uncertainty. In a team meeting, a team member questions one of his peers about an estimate. He believes that the estimate seems too high. His peer replies that this is a piece of work that none of them have completed before. And, so in order to manage expectations, he has taken his original estimate and padded it. He does not want to be the one who misses a due date on this critical project. Others nod and express that they, too, have placed some pad in their estimates. 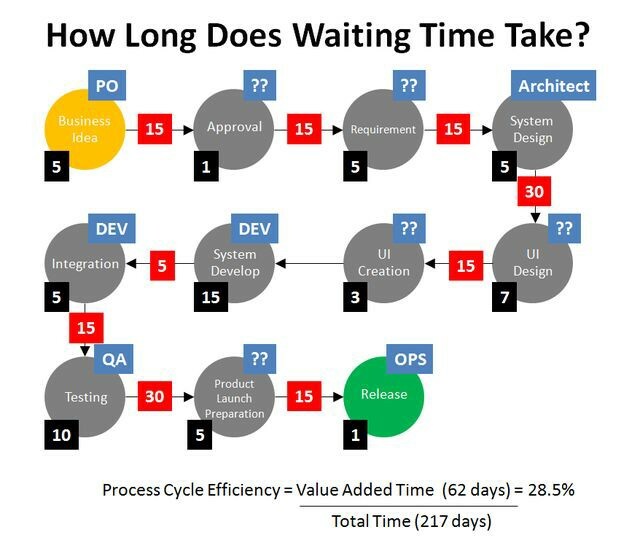 You do not want to be the project manager who misses the due date on such a critical project and so you ask the team to submit estimates that reflect the amount of time they think it will take to complete the work and then separate out some contingency - in other words potential extra time because some of the work is risky. An estimate created by looking at a similar project or activity and then adding or subtracting to or from the estimate based on the differences between the two is called Analogous estimating. When you have good historical information which can be used in a reliable formula or model, you will probably use Parametric estimating. When you are concerned that your estimates might not be correct, especially if you think they are too low, you should not pad the estimate and add extra. Management reserve is not tied to specific work packages it is for the entire project. You are preparing an estimate of the cost for an IT system expansion for a new branch office location. It is very similar to the IT system expansion undertaken for a branch office that opened six months ago. Analogous technique you might use if you are pushed for a quick estimate. You are building an apartment complex with four, 10,000 square foot buildings based on the same drawings you used in another city two years ago. The danger of estimating using the same parametric model of $50 per square foot is Historical cost relationships may no longer be applicable. Bottom Up Estimating is A technique that involves estimating the cost of individual work packages or individual schedule activities with the lowest level of detail. The Project Budget is equal to the cost baseline budget plus management reserves. The S-Curve depicts the relationship between the cost baseline budget and the schedule because it shows the planned cost baseline budget across the planned project timeline. Earned value management integrates scope, cost, and schedule measures to assess project performance and progress. Your team member informs you that the test system must be refreshed with your test data before testing can be begin. This dependency is Mandatory. Your sponsor informs you that you must receive local government approval of your proposed building design before you can begin construction of your building, this dependency is External. You have two activities, A and B. Once A begins, then B can also begin. This relationship is best described as Start to Start. In discussing the new product that is being created as a result of the completion of project A, you realize that there are some elements of the product that do not have any acceptance criteria associated with them. This is primarily because they are new. They are parts that go into this product that your team has never created before. If they are not tested then the product could be created using parts that do not work or do not fit together as planned. You are fairly certain that others on the team must realize this too, but nobody has mentioned it. You say to the team, don't we have parts that are new to us? How will we know if those parts are acceptable? We do not want to get too far into the creation of the product, even the prototype, without knowing that it'll work. At first, there is silence, then everyone begins speaking at once. It turns out that several team members have been wondering about this. You ask them to ensure that there is some type of plan or approach to handle the testing. Potential approach is appropriate is Take some time now to consider each new part and what it means for that new part to be acceptable and how that can be tested and measured and document this information. When you schedule work in a specific order because it cannot be completed any other way this is Mandatory type of dependency. If develop online modules must be 100% completed before review online modules can begin, that is called a finish to start relationship. If develop online modules needs to finish before review online modules can finish, that is called a Finish to finish relationship. To calculate early start (ES) and early finish (EF) perform a Forward pass. The critical path is the longest path through the network and represents the shortest duration in which all the activities of the project can be completed. The network diagram is the best tool for demonstrating The sequence of project activities. Schedule Management Plan, Activity List, Activity Attributes, Activity Resource Requirements, Resource Calendars, Project Scope Statement, Risk Register, Resource Breakdown Structure, Enterprise Environmental Factors, and Organizational Process Assets are inputs to estimating activity durations. 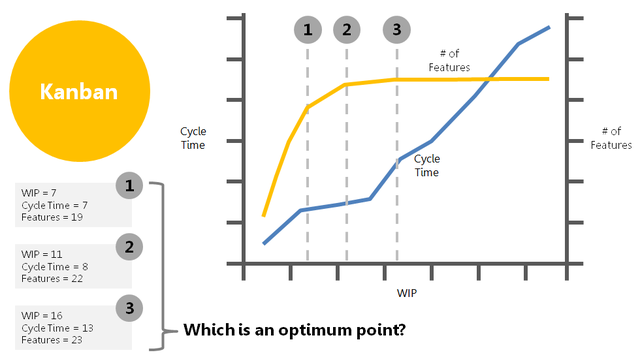 In a project schedule, the sequence of activities which cannot be delayed during the course of the project without extending the project end date is referred to as the Critical path. A significant event in a project that may indicate completion of a major phase is a Milestone. Once the logic of a network is laid out, the project manager will conduct a forward pass and a backward pass through the network. This will provide information regarding The total duration of the project and will identify the critical path. Interactive - A performance appraisal that you give to a team member. Pull - A project document that will be read and accessed by many team members. Push - An invitation to a project milestone celebration. The entire company is excited about and interested in Project A. Everyone wants to know what is happening, everyone wants to help celebrate the completion of project milestones, and everyone is waiting eagerly for the product launch. As the project manager, you ensure that the right project communications are created and distributed to the right people. Sometimes, this is very time-consuming. One of the challenges you face is that each business unit has involvement in the project. For example, the marketing department is coordinating advertising and a social media campaign around the new product. The accounting department needs to update their records to accurately capture product cost and profit figures. Each milestone that you and the team complete brings you closer to the product launch. Each milestone could represent different things to different departments. For example, once the prototype is approved, the marketing department can start creating more of a social media buzz by sharing information about what the product will do. To the accounting department, the approval of the prototype means that they can begin to come up with real material cost numbers. All of this is part of the plan and the schedule. In your communication plan, you announce milestone completions. Some are even marked by celebrations. When a milestone has different significance to different departments, you decide to create communication that Are written to celebrate the milestone and shares a bit about what that milestone means to each group and why it is important. A project manager spends 90% of his or her time communicating. The best medium for the communication, With whom to communicate, and What they need to know are parts of a basic communication plan. Upward communication is communication to/from Your senior management. 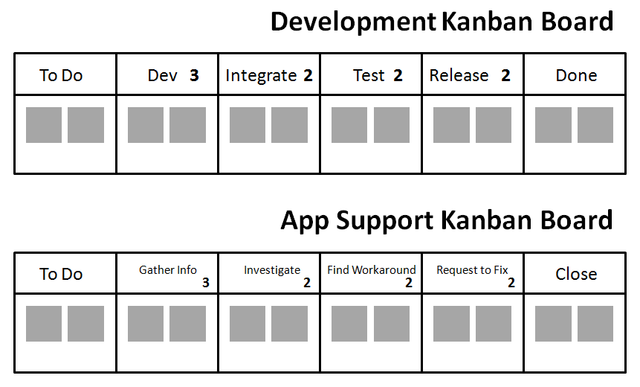 When you report project status you compare actual performance to The planned performance or baseline. Earned value integrates scope, schedule and budget and uses monetary values to assess project status. You are beginning to staff your project. Organization chart, WBS, and Responsibility Assignment Matrix will be used in developing and/or communicating roles and responsibilities. How information will be communicated, Timeframe and frequency of communication, and What information will be communicated are likely to be documented in a communications management plan. Effective project communication management creates a bridge between stakeholders based on a shared understanding of the project and the ongoing sharing of information needed for its success. A Communications Management Plan does the Lays out the approach and method for delivering information effectively and efficiently. The Sender and the Receiver should take the most responsibility for clear and effective communication. Know who to involve in risk management planning, Know who to ask about the degree of risks that project faces, and Know which organizations are involved in the project are the reasons the stakeholder register is needed. You and your team have identified a risk that is a threat to your ability to successfully meet project objectives. The risk involves team members from your company performing work which requires training, certification, and many hours of experience. You have one newly certified team member and others who are still in training. Transfer the risk - If you have a budget to hire external resources and there is a vendor you can hire who specializes in this type of work, hire them. You have just come from a Project A team meeting. You're feeling a little stressed and overwhelmed. Why? You asked your team to share with you the concerns they had about the project. You asked your team to share with you all of the things that could happen that could impact your ability to meet project objectives. You did also ask them to tell you about opportunities to complete the project early and/or under budget. But they really focused on their concerns about what could go wrong. Now, the team feels better because they have had a chance to vent and to discuss their concerns. You did write down everything that your team said. You asked questions while they described the various scenarios, and it occurs to you that your team just did a really good job of identifying risks. Now, all you have to do is decide what to do with all the information you're walking around with. Put it aside and read it later after you have calmed down. Then organize the information and schedule some time with the team to discuss the likelihood and impact of each risk, so that you can prioritize the risks. The purpose of project risk management is to Minimize the likelihood or the impact of negative events or threats to your project and to increase the likelihood or impact of positive events. A positive risk is an opportunity; a negative risk is a threat. When you and your team know that a negative risk has a high likelihood of occurring and it will be very impactful if it does You should develop a response to handle this risk. If the response you choose is to avoid a risk this means that You change your plans so that you eliminate the risk. Once you and your team identify and assess risks and develop responses you Continue to identify and monitor risks for the remainder of the project. In a project context, a risk is defined as An uncertain event that, if it occurs, will have a positive or negative effect on at least one project objective. The Risk Management Plan is a subsidiary of the Project Management Plan document. A useful tool in identifying risks is the SWOT analysis. SWOT stands for Strengths, weaknesses, opportunities, and threats. The primary output from the identification of risks is the risk register. During a risk brainstorming session, a team member identifies a risk. This particular risk does not seem to belong to any of the categories in your Risk Breakdown Structure (RBS). You should Record the list in the risk register, discuss potential responses and make a note to update the RBS. As part of planning, you have created a scope baseline, a budget baseline, and a schedule baseline. These baselines ever are allowed to change, if the baseline is completely unachievable and the project sponsor approves it. Your project is running two weeks behind schedule. Your variance thresholds should be documented in your project management plan, look there for guidance. Back when you and the team were creating the scope statement for project A. One of the stakeholders really wanted you to include some additional features. These features were not part of the initial scope, and so you noted these features as out of scope. The stakeholder who requested these features was not happy. But her peers voted her down and reminded her of the importance of time to market. She has never given up on these features. She tells anyone who will listen that it is a mistake to release the product to market without these features. She has escalated her concerns to your executive management team. She has convinced at least one of them that she is right. Now your phone rings, and it is that executive manager. He is insisting that the features be added to the product immediately. Explain to the executive manager that the scope has been signed off on and these features were specifically noted as out of scope and offer to help with a change request that should go to the change control board. Risk: Requirement Changes, เวลาน้อยไปจนทำไม่ทัน, ลูกค้าอาจจะไม่ให้ความร่วมมือ, สมาชิกใน Team อาจจะลาออกกันไป, Technology ที่ใช้อาจจะใหม่เกินไปและยังไม่เสถียร, etc. 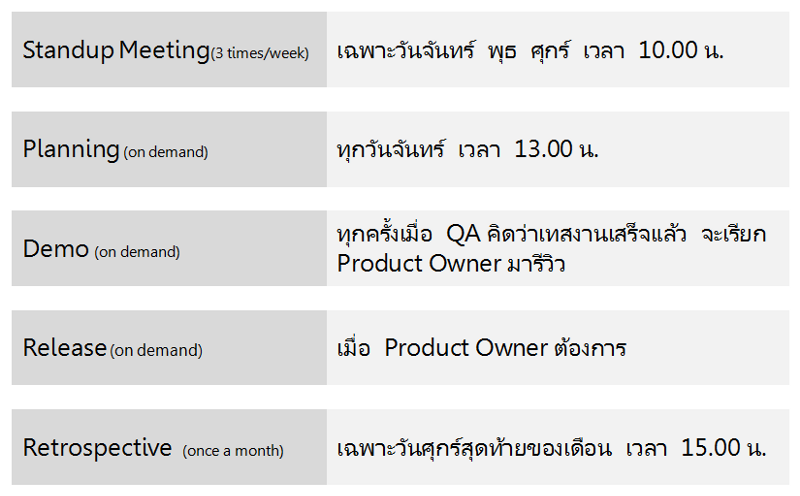 เรื่อง Priority ... เจ้าของ Product (Product Owner) แต่ละคนก็จะบอกว่า "ของชั้นสำคัญกว่า"
Team ต้องการ "ทักษะที่เหมาะสม (Skills)" ไม่ใช่ "คนที่มีตำแหน่งติดตัวมา (Position)"
คำจำกัดความของคำว่า "งานเสร็จ" ของ Team เราคืออะไร? 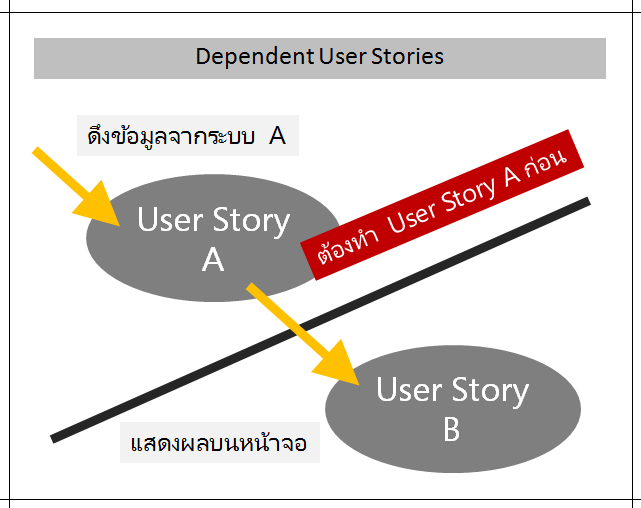 แล้ว Requirement, UI, Release, etc. ล่ะ? Wireframe มีการ Review จาก PO และตัวแทน Dev Team, Graphic ตามบริษัท ทั้ง Font, Color, etc. 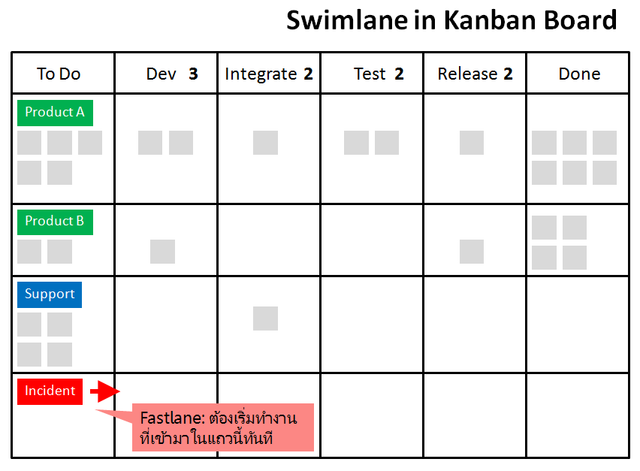 ต้องแก้ Unit Test Bugs ทั้งหมดที่เจอจาก Nightly Test, etc. WIP = จำนวนคนที่รับผิดชอบในแต่ละ Column > น้อยไปป่าว? WIP = จำนวนคนที่รับผิดชอบ x 2 > สำรองเวลาไว้สำหรับเรื่องการสื่อสาร การประชุม การทำ Review บ้างมั้ย? WIP = (จำนวนคนรับผิดชอบ x 2) - 1? As a <type of user>, I want to <some goal>, so that <some reason>. As a user, I want to search for books, so that I can pick what I like. As a user, I want to read book preview & sample, so that I can check if this fits my purpose. As a user, I want to read book reviews, so that I can decide to buy the good ones. As a user, I want to see my shopping cart, so that I know how much I have to pay. As a user, I want to check out, so that I can complete my purchase. 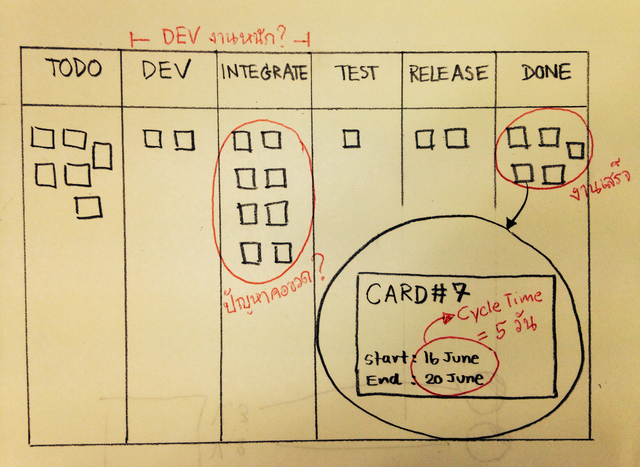 A Good User Story is Negotiable - User Story or Story Card is a pointer to a requirement. คิดถึงเวลาเรากิน Cake: ถ้าจะกินให้อร่อยก็ต้องใช้ช้อนตัดจากบนลงล่างให้ผ่านทุกชั้นของ Cake จริงมั้ย? หลีกเลี่ยงคำศัพท์ Technique ต่างๆ เช่น Multi-Thread, Partition, Page/Table Lock, etc. As a user, I want to 10 reports concurrently in the background, so I can continue doing other jobs. All configuration must be stored and read from the single file. I want to manage my resumes แตกเป็น create, edit, delete, deactivate, share, etc. อย่าง create ก็แตกลงไปได้อีก includes อะไรบ้าง, save as draft, publish, have multiple, etc. I want to create (CRUD) my Profile that includes Basic Info and Contact Info (Data Boundary). 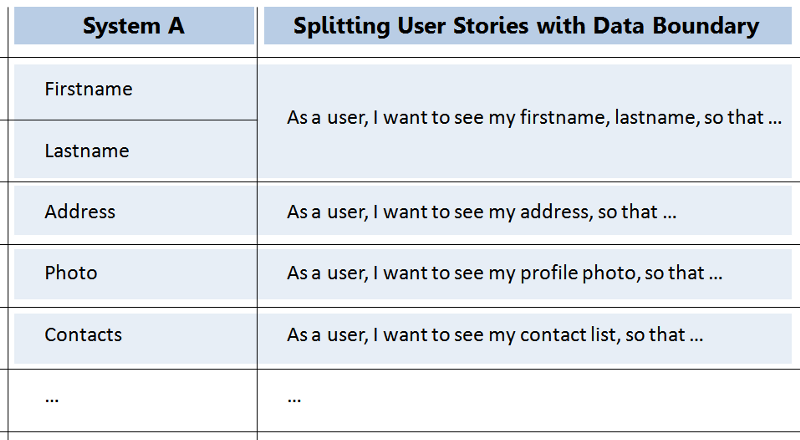 I want to add (CRUD) my Living (Data Boundary) to my Profile. I want to read (CRUD) my Profile that includes Basic Info and Living (Data Boundary). I want to publish my content directly on the corporate website. I want to send my content to the editorial team for review. I want to send my content to the marketing team for review. I want to send my content to the legal team for review. I want to publish my content to test/staging machine. I want to publish my content from test/staging machine to the corporate website. I want to save my drafted content. I want to send an approval message back to a creator. & I want to review content. I want to make changes to content. & I want to save my change. I want to continue adding my change. & I want to have 'track changes' feature. I want to have multiple reviewers. As a user, I want to generate a revenue report with flexible dates. for 'today / this week'. for 'this month / quarter'. for 'this year/week to date'. for 'all time' / starting from 'x' to 'y'. As a user, I want to filter results in a revenue report by flexible criteria. by 'sources of revenue - single, multiple, and all'. by 'target vs. actual / tax included / excluded'. As a user, I want to create my first to-do-list. As a user, I want to pay for my items using VISA, MasterCard, or American Express. ... my items with the rest of credit card types (given that one card type already implemented). Technical Spike: ใช้สำหรับตอบคำถามเชิง Technique ล้วนๆ เช่น วิธีนี้จะช่วยแก้ปัญหา Performance ได้มั้ย? เช่น Mobile Wallet App: As a user, I want to see my daily, weekly and monthly expenses displayed in pie chart so that I can review and understand my expense level quickly. Technical Spike: To research what technique we can use to display a pie chart in iOS, check the level of battery this technique uses, and check app loading time. Functional Spike: To create a prototype that displays daily, weekly, and monthly expense in a pie chart and get feedback from users. High performing organizations are likely to focus on a number of foundational practices including knowledge transfer. A typical knowledge transfer life cycle includes Identifying, capturing and sharing. Formal knowledge-sharing and information-sharing procedures. These include learning reviews before, during, and after projects and project phases; for example, identifying, capturing, and sharing lessons learned from the current project and other projects. Forming, storming, norming, performing and adjourning are the five stages of team development. Initiating, planning, excuting, monitoring and controlling, closing are the five process groups. Plan, do, check life cycle is the basis for quality improvement. Luarie is currently a consultant project manager for a large retail firm. She is monitoring risks and one of her team members just mentioned that there were new challenges in acquiring leases. Issue log she would record this information. The amount of cost variance allowed on a project usually Decrease over the life of the project. The closer we get to project completion the less cost variance we will often allow. The ability to influence cost is greatest at the early stages of the project, making early scope definition critical. At the beginning of a project, a wide cost variance is typically permissible. As we approach completion, the cost variance allowed tends to decrease. Adaptive life cycles are called agile or change-driven life cycles. Predictive life cycles are referred to as waterfall life cycles. Hybrid life cycles are combination of predictive and adaptive life cycles. You are managing a project which is in planning phase. You have completed developing the project charter and this project contains multiple phases with multiple contractors. The contract contains proprietary information from the vendors. One of the functional managers of your organization wants to view this information. Deny the request to protect the confidentiality of the information should your response be to them. Professional code of ethics and professional conduct. Being the functional manager is not part of the project, you should not share the information with them because you need to protect the confidentiality of the contract. Todd is a new Project Manager in your company. Your company has a culture where a new PM is helped by senior members of the team. You have been assigned as their PM BUDDY. The new PM asks you whose responsibility is it to determine the priorities between projects in a company. The project management office (PMO) should be your answer be to them. 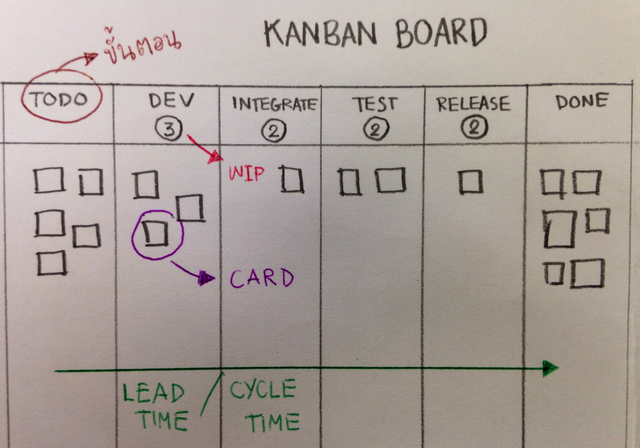 It is PMOs job to prioritize the projects. Your organization has been producing snack foods for over 50 years. Your current project is an extension of a very successful product line of highly processed chips. With the current interest in healthy food, your project has suddenly been terminated. There is a lot to do when a project is terminated. Reviewing work packages to understand current status is most important to focus on first. We need to understand the status of the work packages for multiple reasons. Actions and activities necessary to satisfy completion or exit criteria for the phase or project such as: Making certain that all documents and deliverables are up-to-date and that all issues are resolved. From a different standpoint we need to review the status of the work packages to collect lessons learned. Archiving all phase/project records, Releasing resources, and Working with subcontractors to end all open contracts. While we should do all of these activities, we first want to review the status of the work packages. We may need resources, including subcontractors resources to do this. A decomposition technique that helps trace an undesirable effect back to its root cause. A modification to any formally controlled deliverable, project management plan component, or project document. A process whereby modifications to documents, deliverables, or baselines associated with the project are identified, documented, approved, or rejected. A formally chartered group responsible for reviewing, evaluating, approving, delaying, or rejecting changes to the project, and for recording and communicating such decisions. A set of procedures that describes how modifications to the project deliverables and documentation are managed and controlled. Manual or automated tools to assist with change and/or configuration management. At a minimum, the tools should support the activities of the CCB. A comprehensive list of changes submitted during the project and their current status. 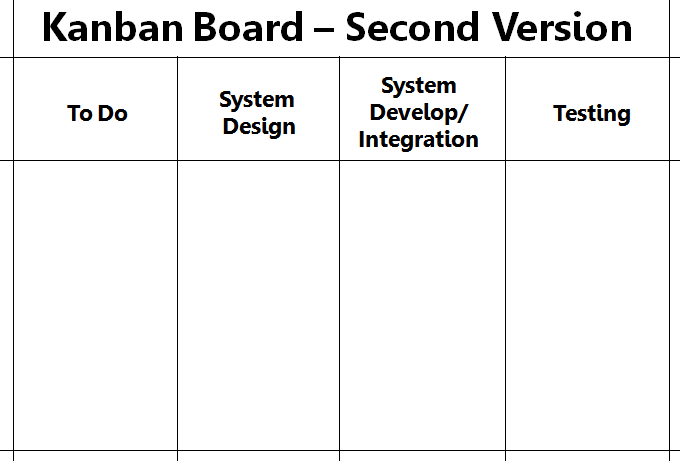 A component of the project management plan that establishes the change control board, documents the extent of its authority, and describes how the change control system will be implemented. A formal proposal to modify a document, deliverable, or baseline. มุ่งสร้าง "Sustainable & Efficient Early Delivery of Business Value"
เมื่อมีการเพิ่มความสำคัญของงาน F ทำให้มี WIP เพิ่มเข้ามา เราจะทำอย่างไรดี?